“Over the years, we have been asked to donate other things and we say no a thousand times. We only want to focus on libraries and books. We keep it simple,” said Tom Stader, Founder of The Library Project (TLP), when asked what the TLP is about. 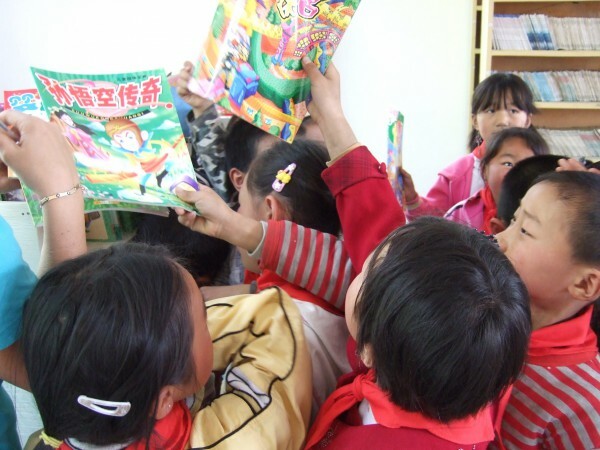 In 2006, during their search for CSR activities at his employer in Dalian, Mr. Stader and his friends targeted two orphanages where they used to help the kids with their English homework. A simple idea of donating a library struck them and they soon got down to collecting books. “We originally expected several hundred books and we actually raised 4,000 books,” said Mr. Stader. Considering that the orphanages didn’t have a library to host the books, he reached out to his family and friends for financial support to buy tables, chairs, shelves and globes. “We learned that you could make an impact through a simple donation of a library,” recalled Mr. Stader, who would sent photos and stories of the libraries to the donors. Seeing the change they have made with their own eyes, many of the donors kept making donations, which helped Mr. Stader manage to continue providing books for schools and orphanages in his spare time in Ho Chi Minh City, Vietnam when he moved there for work. After the two libraries and another seven in Vietnam, TLP had not grown far beyond the original idea until one day Mr. Stader received an email from Kevin Kruse who donated 10,000 dollars to look for an organization to truly make a difference on a large scale. That is how TLP officially started. It “has changed my life and ultimately effected the lives of thousands of children throughout Asia,” said Mr. Stader. 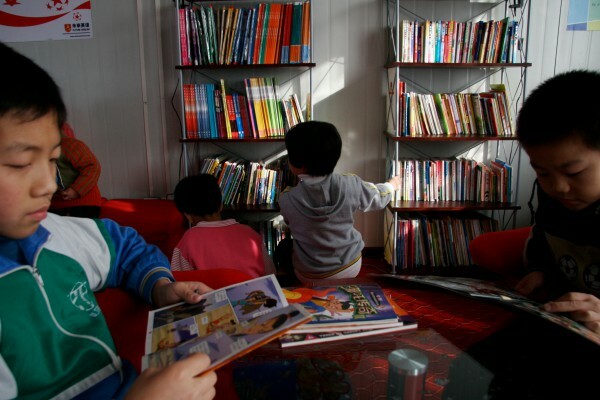 As of today, TLP has donated over 1,600 libraries to rural elementary schools located throughout China and over a million Chinese-language books for children have found their way into the hands of over 500,000 young eager readers. As Mr. Stader would say, it’s certainly the work of his team. After a few months of operation, TLP hit its first roadblocks—they were running out of money fast and they had a difficult time locating local schools in need. 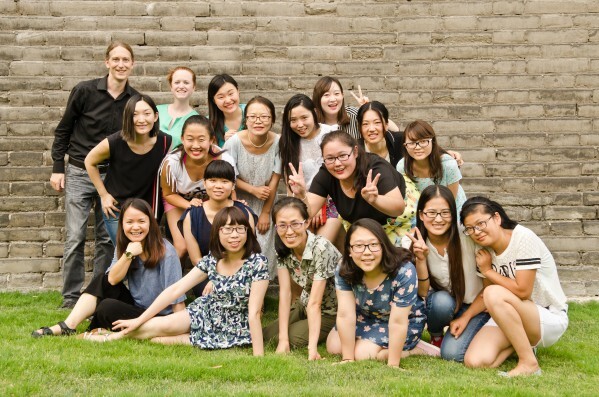 That was when Belinda Yu, the Logistics and Purchasing Director, joined them as a research assistant to help locate underfunded schools in rural regions of Shaanxi Province. Ms. Yu is responsible for the purchase of library donation items. Over the past eight years, she has transformed the once simple library donations into colorful and engaging places for children to curl up with books and relax. She and her team have set strict standards for each item and shipped them directly to the libraries. “The majority of the books we buy is in the Chinese language, covering a wide range of topics including novels, science, fiction, others, and dictionaries. The book list is adjusted in response to the practical needs and feedback from the teachers and students,” explained Ms. Yu. Christine Wang came to TLP in the summer of 2008 as an assistant to Mr. Stader after her graduation from university. It was not long before she began focusing on event organization and awareness raising for TLP. Now she is the Fundraising Director responsible for building long-term relationships with donors and volunteer groups, and she helps locate the funds to purchase books. Responsible for TLP’s operation across China, TLP China Country Director Nichole He is striving for the goal of donating, on average, one library a day throughout China with her team. She joined TLP in the summer of 2009 after working for a leading Xi’an-based English magazine as a fundraising manager. She is grateful to Mr. Stader for recognizing her talents in communication and project coordination. She operates with a very high level of donor and volunteer involvement, while engaging with local governments and rural schools to ensure that each library donation is a positive experience for everyone involved by providing detailed reports as to the impact of each library donation. “Last year, we donated 366 libraries, and the goal for this year is 460. We already have built 338 of them,” said Ms. He sharing the number with much pride. “There is not one day in my entire life when I regretted this decision. My team is the biggest reward I’ve got. They are an incredibly inspiring group of people and I feel that our work has a great impact on the lives of the children we support,” answered Mr. Stader, when asked whether he ever regretted quitting the job to start the TLP.